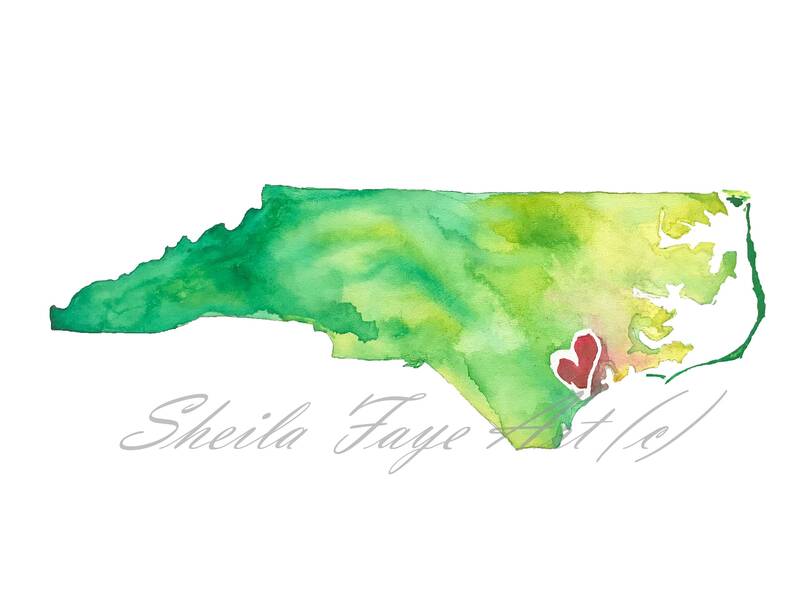 Watercolor North Carolina State Map Outline Instant Download. Two high-resolution JPGs sized at 5x7" and 11x14" for your convenience. However, these maps can be printed in many other sizes using these provided files. Let me know if you need some help! 1. Purchase and download the file(s) - File will be available once your payment has processed. 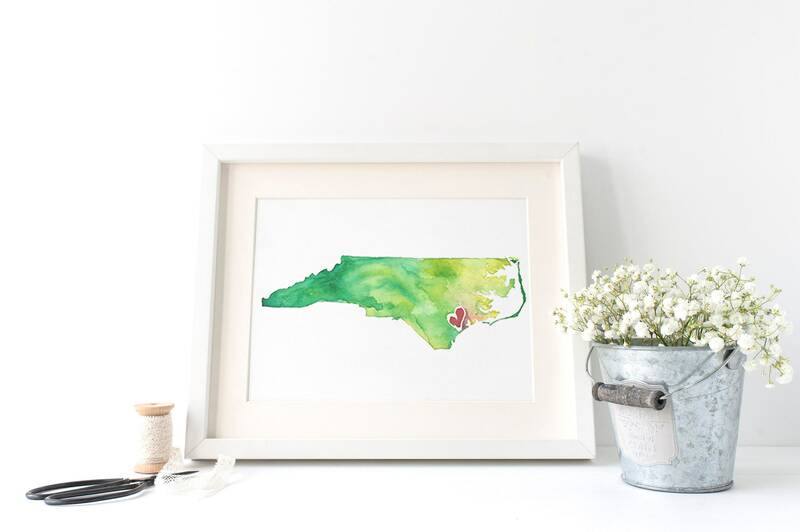 You can follow the link to your Etsy Download page (or find it on your Etsy Purchases page) and click on the Download Now button. 2. Print however you like: on your own printer, with a photo lab, or at a copy shop such as FedEx. Sorry, I do not offer refunds on digital items. The colors you see on your screen will vary when actually printed out. We securely process payments through direct checkout or PayPal. Our Policy states you have 14 days to return an item. If 14 days have gone by we cannot offer you a return or exchange. We must have a receipt to complete your return. Items must be in Original Packaging and in the same condition you received it.